Why should I buy this map? Detailed hillwalker map covering the whole island at the popular 1:25,000 scale. Features the renowned Goatfell, A'Chir ridge, Beinn Bharrain, Glen Sannox & Glen Rosa. 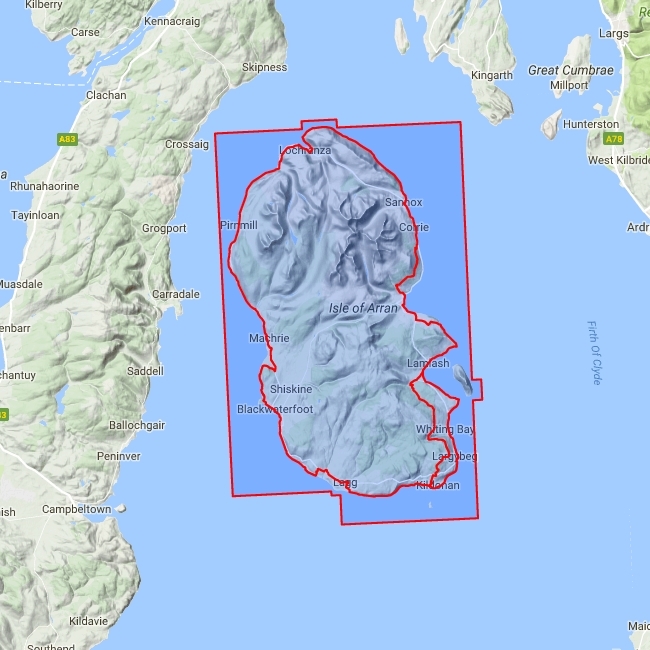 Includes the 100km (62 miles) Arran Coastal Way. The route links the coastline of the island with the villages and the stunning scenery Arran has to offer. Includes 4 Corbetts and 1 Graham.